A teacher in Hillier was once bound to her chair by her students, to be rescued later in the evening by some parents whose children had burst out laughing at dinner. A peg-legged teacher, in the process of giving a naughty boy the strap, became stuck in a knot-hole, and had to be freed by his victim. Each teacher will bring a bucket of water and a scuttle of coal for the day session. Make pens carefully. You may whittle nibs to the individual taste of the pupil. Men teachers may take one night each week for courting purposes, or two evenings a week if they go to church regularly. After school the teacher must spend the time until supper reading the Bible and other good books. Women teachers who marry or engage in unseemly conduct will be discharged. Every teacher should lay aside from each month’s pay a godly sum for his benefit during his declining years so that he will not become a burden on society. Any teacher who smokes, uses liquor in any form, frequents pool halls or public halls, or gets shaved in a barber shop, shall give good reason to suspect his worth, integrity, and honesty. The teacher who performs his duties regularly and faithfully and without fault for five years, will be given an increase of 25 cents a week in his pay, providing the Board of Education approves. 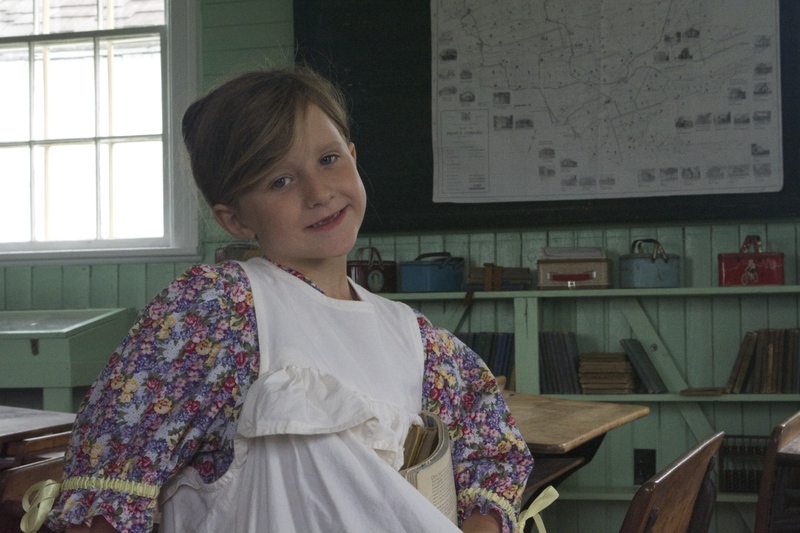 Some people may have found school to be difficult but the Victoria Schoolhouse is fun! Drop by with your family or class for a visit! We’re open Wednesday to Sunday from 9:30 to 4:30. We’ll make history come alive! Summer is nearly here. The Victoria Schoolhouse is coming to life with school visits. Students will be able to interact with the schoolhouse and imagine what a school day would have been like over 150 years ago. The public is welcome to visit and encounter a time when there was very little technology in schools and one room held students from many grades.